At Humanity, we do our best to listen to our clients and their needs. With that, we are releasing our on-callscheduling feature for our application on Tuesday (tomorrow). We hope your business can fully take advantage of our new on-call scheduling feature. 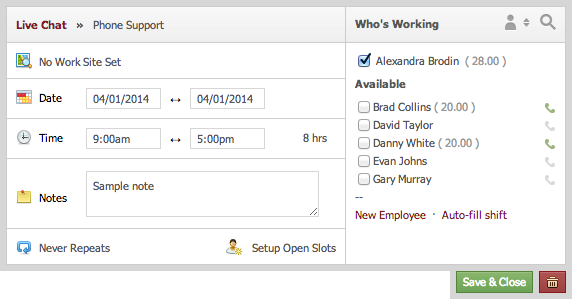 The new on-call scheduling feature allows managers to assign their on-call employees to shifts. Their on-call status is temporary and is not reported in ‘Reports’ nor scheduled unless their status has changed from on-call to on-shift. Scroll down to ‘Schedule Settings’ and check ‘OnCall Management’ to enable this new feature. 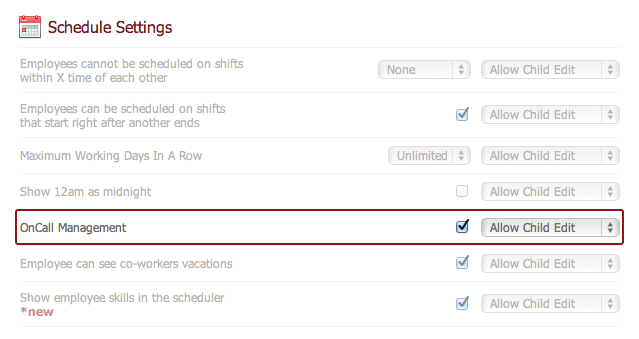 Managers and schedulers can place their employees on-call by clicking on the phone icon located next to the employee’s name in the shift edit window. If the phone icon is green, the employee’s status is noted as ‘On-Call’. If the phone icon is grey, the employee’s status is noted as ‘Not On-Call’. On-call staff members see the on-call shift (indicated by the green dashed border) in their schedules. They will also receive notifications when placed on-call, removed from on-call, or scheduled from on-call.